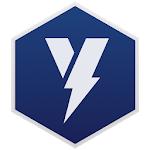 Yabi Browser is a small, fast, private web browser for Android phone and tablet that provides best Internet browsing experience. 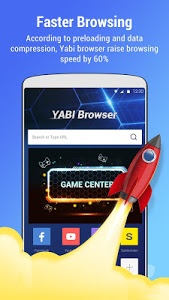 It can effectively boost page loading speed and save data/traffic by 60%, Yabi Browser provides a large number of useful features including, Flash Player, Speed Mode, Full Screen Mode, Incognito Mode, No Image Mode, Trending news and video, etc. 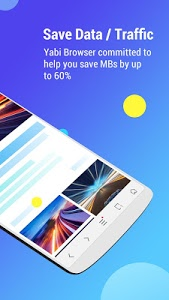 Yabi Browser committed to help you save MBs by up to 60%. Get instant results to your searches in Google, Bing, Yahoo,. Even better, the in-page search helps you find whatever you need within website pages. 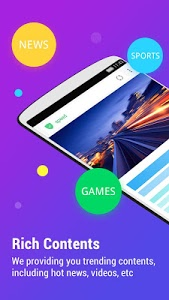 With build-in Block engine, Yabi Browser provides private browser experience and effectively block annoying pop-ups, banners to save traffic. We providing you trending contents, including hot news, videos, etc. 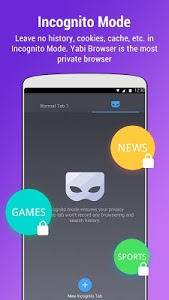 According to preloading and data compression, Yabi browser raise browsing speed by 60%.